Let’s just face the facts. We like chocolate! There, it has been said, and there is no taking it back. 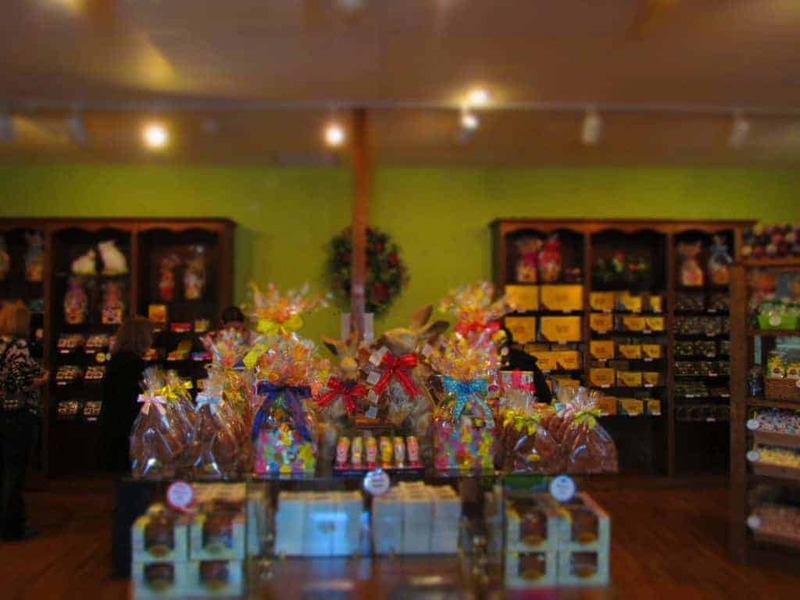 This may be the reason why so many of our trips include a visit to a chocolate shop. We like to think it is just a service we provide for our readers who are looking for a sweet treat option when touring a destination. At least that is our way of convincing ourselves we are just doing public service work. Whatever the reason, we have had tremendous fortune in digging up some wonderful chocolatiers during our travels. In Joplin, Missouri our luck continued when we discovered the Candy House Gourmet a block off an old Route 66 path. This candy shop has been in existence for nearly 50 years, although not always at the same location. The original Candy House sat on Reddings Mill Road, and became a place that many visited on a regular basis. 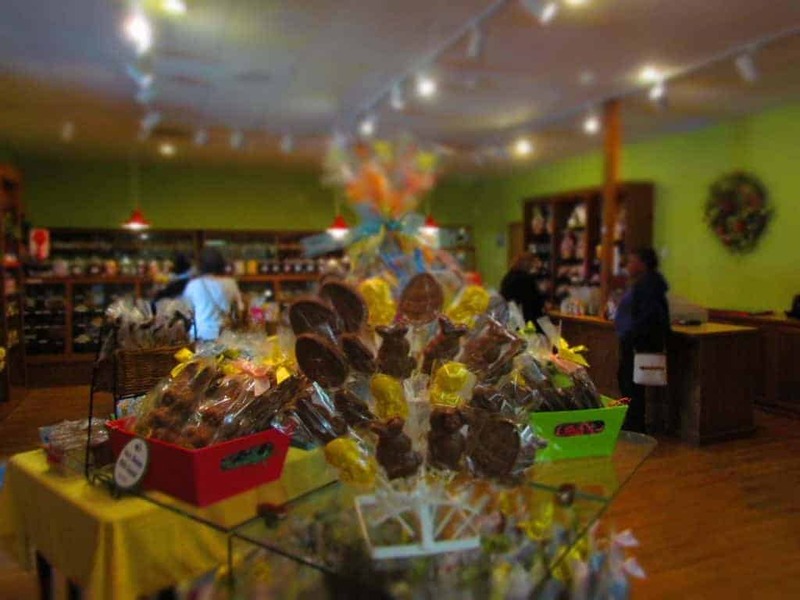 For decades, the Richardson family made it a “go-to” destination for delicious chocolate treats. In 1999. the Richardsons sold the business, and it continued operating with the same recipes. Recently, the business has once again changed hands, but the recipes are a continuing legacy within this business. The new owners are Kansas City natives, who relocated to Joplin about 15 years ago. While the site at Reddings Mill has been closed, operations at the downtown location are surging full steam ahead. 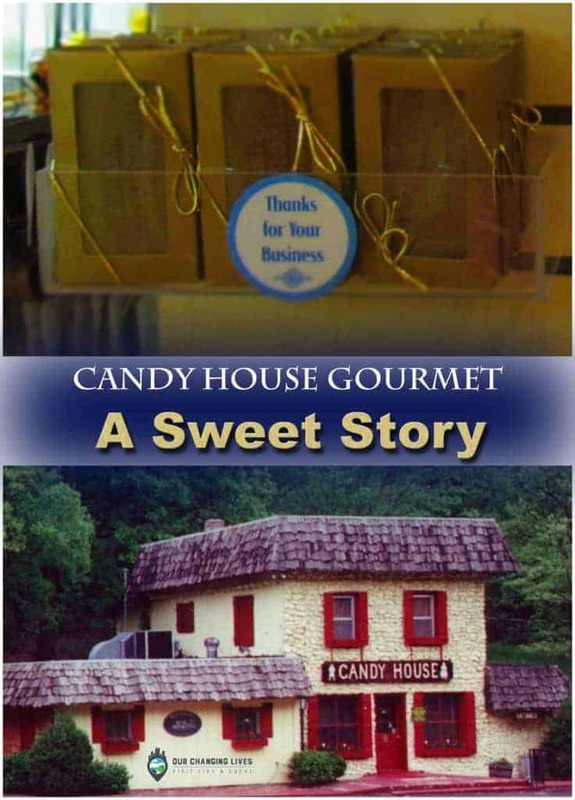 While needing to change the name for legal purposes, they still wanted to capture the original portion, and Candy House Gourmet was chosen. 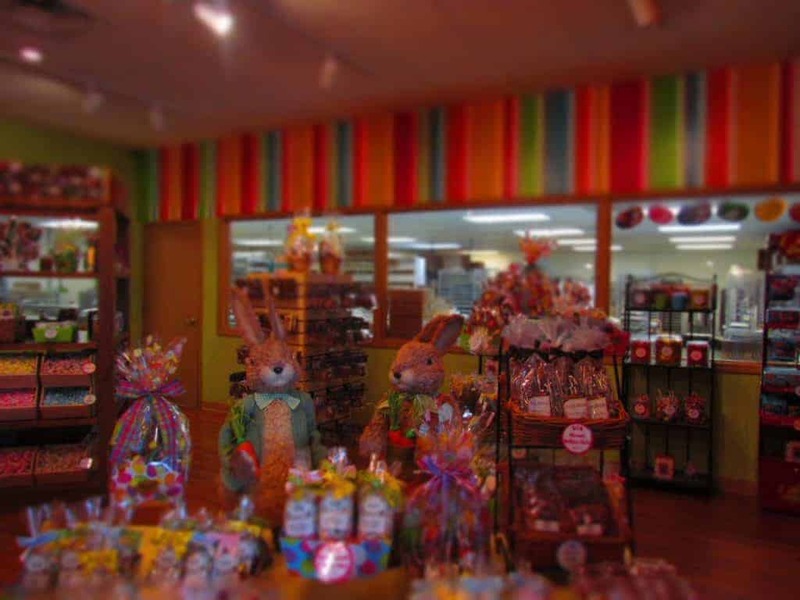 When we entered the shop, our first view was a large collection of Easter candies. This artistic display drew us in with its beautiful pastel colors and fun novelty shapes. Cellophane wrapped bunnies, chicks, and eggs all sat perfectly arranged in full view of customers. It reminded us of the upcoming holiday, and suggested a reason for us to purchase a few extras for gifts. Our visit occurred on a Friday, which is the only weekday that they don’t run the production facility. Fortunately, we were still able to have a wonderful tour with Cara Adolphson, one of the new owners. She walked us through the processes used to create their various treats, and all along the way we could smell the residual delicious aromas of the previous days work. Talk about a great way to work up an appetite for a sweet reward. Throughout the year, Candy House Gourmet will produce items timed for upcoming holidays. During the Valentine’s Day season, chocolate covered strawberries fly off the shelves, as customers rush to get these for their sweethearts. Of course, a few may be saved for themselves, as well. 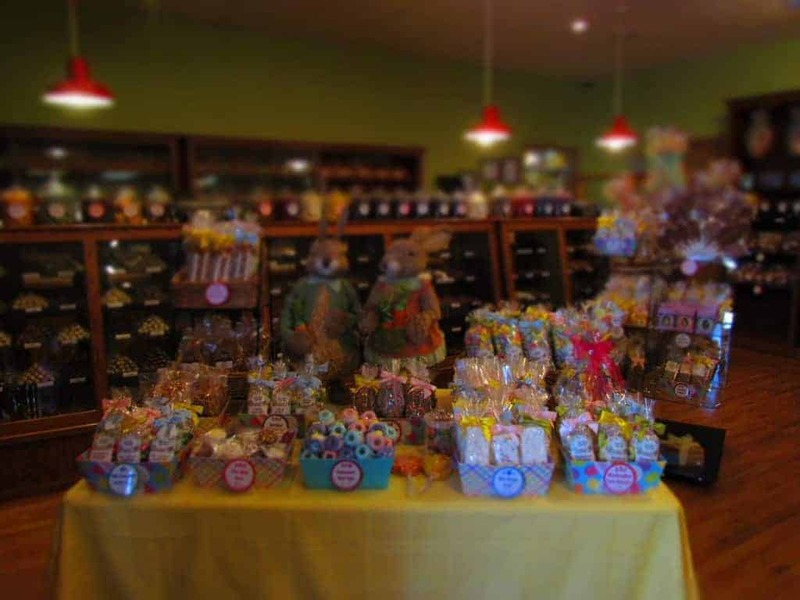 Easter is another good holiday for candy shops, as visitors search for the best items to fill the baskets of their children or grandchildren. 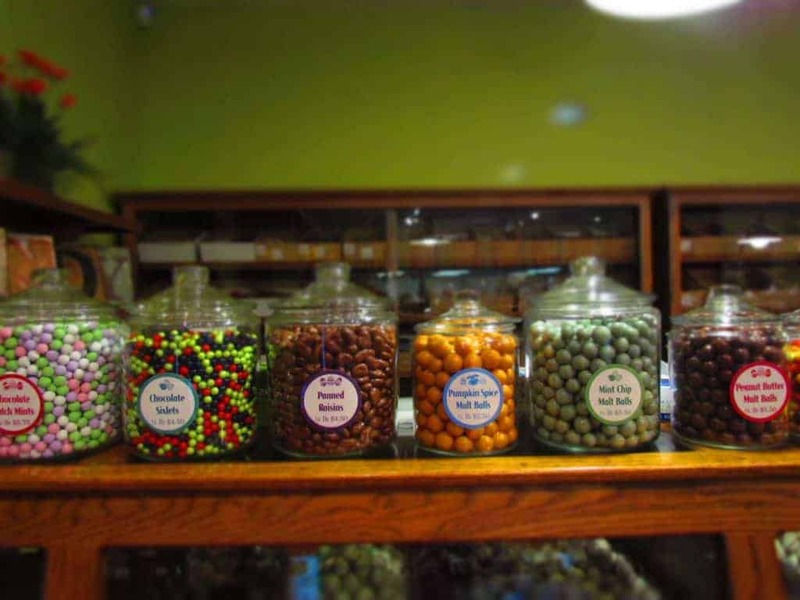 One of the things we liked about Candy House Gourmet was their mix of new and old styles. While the displays in the middle of the showroom had a modern and artistic feel, the edges of the room are filled with beautiful wooden cases. Here we were able to survey the various chocolate treats made with milk, dark, and white chocolate coatings. Along the top of the cases are a series of large glass canisters, filled to the brim with a variety of sweet treasures. This set up reminded us of an old-fashioned candy shop. We visited with the staff for quite a while, as they told us more about themselves and their business. The passion they have is clearly evident in the way they speak about the importance of maintaining the historical recipes. We watched the interaction they had with each customer who arrived during our visit. Everyone was invited in, and treated like part of the family. Perhaps this is another reason why we enjoy visiting chocolate shops wherever we roam. It gives us a chance to let others share their passion with us. That and a chance to taste the chocolates! I added you to our email subscriptions. We hope you enjoy having the articles sent straight to your inbox.